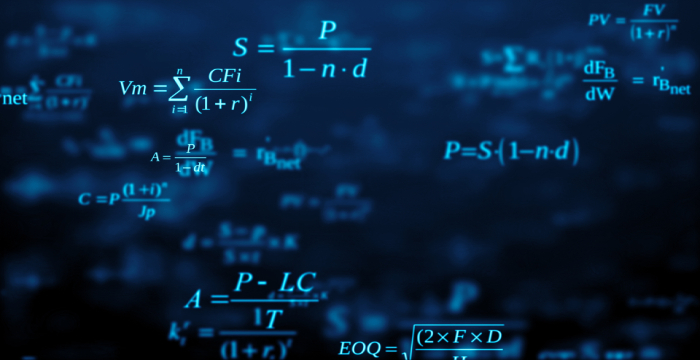 How to prepare for JAM 2019 Mathematics – Preparing for JAM 2019 especially for Mathematics can be a little overwhelming given the vast syllabus to be completed within a small amount of time. Preparation for JAM 2019 can be made simple with a few steps which if followed correctly will give the candidates the result that they expect. JAM is held for the admission to the different post graduate science programmes offered by the participating IIT’s. The preparation tips mentioned here include how to prepare the time-table, mock tests and syllabus. The preparation tips for JAM 2019 will help candidates cover the syllabus for Mathematics topic-wise giving emphasis to both the major and minor topics of the subject. ‘How to prepare for Mathematics paper of JAM 2019 will also give candidates an insight about the how to manage time during the preparation period for the exam. JAM 2019 will be conducted on February 10, 2019. Topics: Limit, continuity, differentiation, Rolle’s Theorem, Mean value theorem. Taylor's theorem. Maxima and minima. Topics: Groups, subgroups, Abelian groups, non-abelian groups, cyclic groups, permutation groups; Normal subgroups, Lagrange's Theorem for finite groups, group homomorphisms and basic concepts of quotient groups (only group theory). Topic: Vector spaces, Linear dependence of vectors, basis, dimension, linear transformations, matrix representation with respect to an ordered basis, Range space and null space, rank-nullity theorem; Rank and inverse of a matrix, determinant, solutions of systems of linear equations, consistency conditions. Eigenvalues and eigenvectors. Cayley-Hamilton theorem. Symmetric, skew-symmetric, hermitian, skew-hermitian, orthogonal and unitary matrices. Preparing a proper schedule of what topics should be covered on a particular day is very important for a subject like Mathematics. Unlike other subjects, Mathematics is such a subject that requires to be practiced in the written format which means it is time consuming. While some topics are easy to understand and easy to cover there are others which require a lot of time for understanding and practicing. Prepare a time-table in such a way that you can allot time for both the types of topics in a day. The last few weeks or the last month before the examination must be allotted completely for revision purposes. Try not to take up anything new and utilize the time to revise what ever you have practiced. Use up the time to solve more and more sample papers and mock tests. Solving the sample papers from the previous year will give candidates an idea about the types of questions that can be asked for JAM 2019. The sample papers come with answer keys which will help candidates to check through the answer right away. Candidates are advised to solve the sample papers keeping in mind the timing which will help them tackle the main exam better. Mock Tests are available online for each subject. Make sure to try to appear for as many mock tests as possible especially towards the last few weeks before the examination. Mock tests will help you to understand how the exam happens and also help in boosting your confidence for appearing for the exam. Mock tests help in managing time which will make the whole process much easier on the day of the exam. Time management plays a key role while preparing for the subject like mathematics. With a lot of problems to solve it becomes necessary to sort out which topics need more time and which ones can be completed easily. Learning how to manage time during the preparation period will help candidates to manage time while they are appearing for the examination. Solving the sample papers from the previous years will also help in understanding how to manage time during the examination. Try solving smaller problems using easier methods which will give you more time to look into sums which are lengthy and take up time to be solved.